World Pharmacists Day highlights the important role of pharmacists in healthcare systems across the world. Two Nigerian pharmacists share their story. 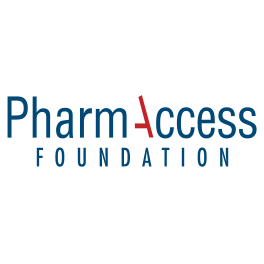 One of the Medical Credit Fund’s more recent loan offerings is the pharmacy loan. 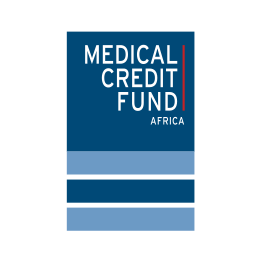 So far, Medical Credit Fund has disbursed 325 pharmacy loans. 204 of these have been in Nigeria. Every year, September 25th marks World Pharmacists Day. 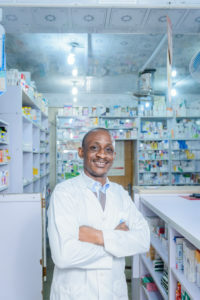 We used this opportunity to spotlight two Nigerian pharmacists who are on their second pharmacy loan, Julie Harrison Pharmacy and Joseph Jekor Pharmacy. E.C. 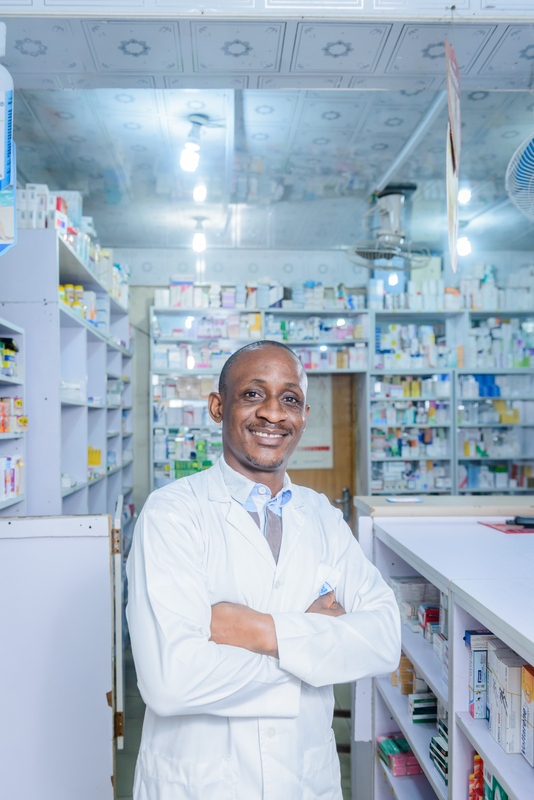 Paul is a trained pharmacist who started Joseph Jekor Pharmacy in Lagos in 2009. ‘After several years of operation and expanding to include the entire ground floor of our building, we are able to stand firmly with the major competitors within our community. As a community pharmacy, we are open for business for about 14 hours a day, except for Sundays when we work about 8 hours. Expanding our stock was a challenge, especially because branded medication is usually more expensive than generics and hence more capital-intensive. Since we got our first loan and invested in a broad range of drugs, we doubled the amount of customers. Now we see about 70-80 people a day. I was surprised myself! Most of our clients have been loyal customers for many years. 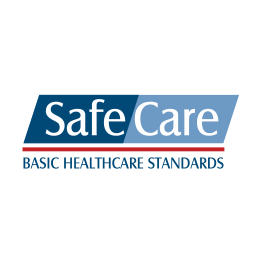 One of the ways we retain existing clients is to ensure they have easy access to our services. They can contact us on What’s app to refill their prescriptions, enquire whether a drug is in stock and how much it costs. This way, we can also prepare their order and have it ready when they come to pick it up. 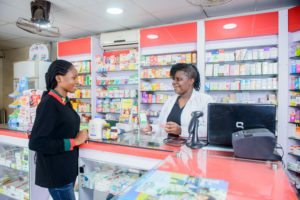 Pharmacist Mrs. Ada Okorie is the owner and manager of Julie Harrison Pharmacy, a community pharmacy on the main road of the commercial section of Lagos’ residential Gbagada area. She used her first loan to invest in pharmaceutical stock, and is currently repaying her second loan. ‘I tried to get a loan from a bank before, but it didn’t work out. The interest rate was very high, it was just too expensive. 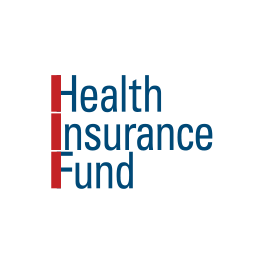 Then I heard about Medical Credit Fund. Through them, I was able to get my first affordable loan from Diamond Bank. We really needed to expand our stock to meet the growing demand from clients for both over-the-counter and prescription drugs. We also renovated the place – I invested in good shelves, made more room for displays and put more products at eyelevel. We installed new lighting, retiled the floor and painted the whole pharmacy. Since then, we have had a steady growth of clients and revenues. We used to have between 95 and 120 walk-ins a day, but now we see about 170 clients. Some days, it can even be up to 200. As a community pharmacy, we play an important role. For a lot of people in Nigeria, the pharmacy is the first line of care when you’re sick.